Welcome to my Official Author Web Site. Click on the tabs at the bottom corners of each page to move back-and-forth between pages. Use the scroll bar on the right edge of each page to move up and down the page. I was first published in 1983, when my poem, The Photograph, appeared in the prestigious First Time magazine. Since then I’ve had over 200 poems published in the UK, USA, Canada, India, Australia and throughout Europe, as well as broadcast on local and regional BBC Radio. A number of my short stories have been published in various magazines and anthologies, and my novella, Paper Gods and Iron Men, has received excellent reviews. Born in Liverpool on the 2nd February, 1959, I was the first child of Ronald Cowdall (1927-1970) and Joan Cowdall, née Baker, (1930-1993), and was educated at Our Lady of Good Help Primary School and Cardinal Allen Grammar School. Like many of my generation, I was brought up on the classics of childhood literature, most notably: Enid Blyton, Mark Twain, Robert Louis Stevenson, and G A Henty. 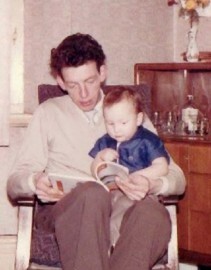 Later adolescent reading included H G Wells, Richard Hughes and Laurie Lee. 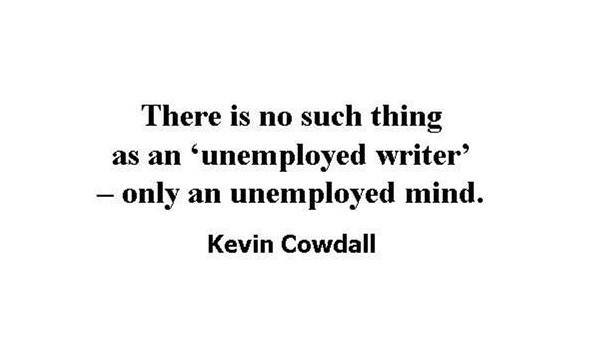 Add to that what my parents and teachers called a vivid imagination, it was no wonder I started playing out, then writing down, stories of my own! I began writing my first novel, a children’s story, The Dinsdale Fox, when I was 17, followed by an Arthurian saga, Death Of A Warrior, in my early twenties. I can honestly claim to have the nicest set of rejection slips; even having publishers pass work on to other publishers they thought might be more responsive. However, I grew quite disillusioned and it was at this point I decided to concentrate on writing poetry. 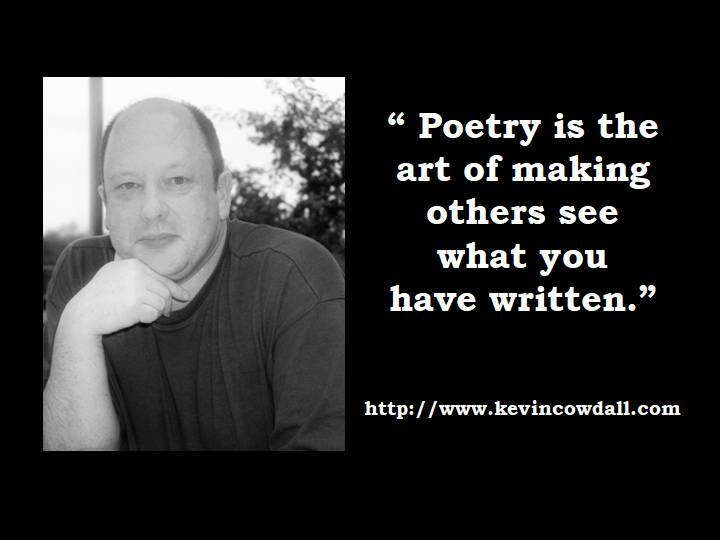 I published three collections: The Reflective Image (1984), Monochrome Leaves (1985), and A Walk in the Park (1990), and in 1986 The Writers’ Rostrum produced The Best of Kevin Cowdall; which was awarded a best collection prize at the 1987 National Small Press and Poetry Convention. 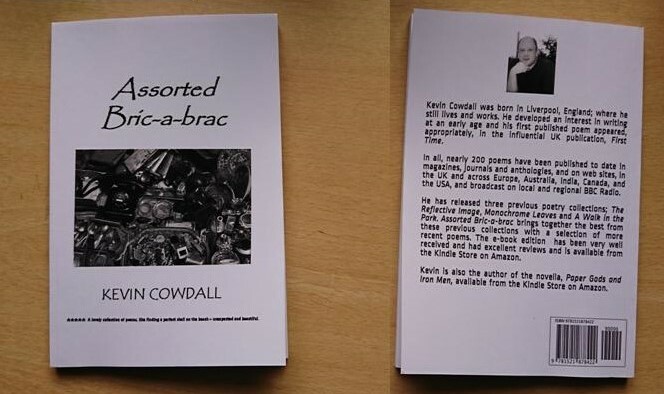 I have recently collated a selection of these early poems with several newer ones in to a collection, Assorted Bric-a-brac, which is available in paperback and as an e-book on Amazon. In my late teens and early twenties Graham Greene, H E Bates and Daphne Du Maurier were huge influences, and it was during this time that I started writing short stories, several of which have been published in magazines and anthologies. Oscar Wilde, Noël Coward, Anton Chekhov and Tom Stoppard were also major influences, leading me to write my first play, Sometimes. Warren Adler (War of the Roses, Random Hearts) encouraged me to release my novella, Paper Gods and Iron Men (along with the short story, Flanagan’s Mule), on Kindle, and it has received excellent reviews. In my spare time, I am an avid reader, enjoy live and recorded music (predominantly classical, opera, jazz and blues), theatre- and cinema-going, dining out and travelling widely. How to start the New Year . . . I was just reminded of this book that I read some time ago but can not be forgotten. 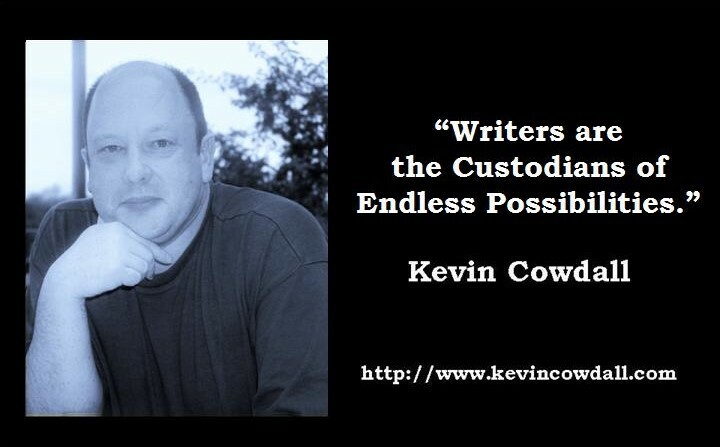 Kevin Cowdall’s writing is hypnotizing. In Paper Gods and Iron Men, Cowdall leads the reader on a journey to the limits of physical and mental survival. I could smell the cigarette smoke, taste the hot sand and I shivered with the setting sun. It’s a story that stays with you long after the last word. Flanagan’s Mule is another splendid display of this very talented writer and his ability to weave a tale that will bring you to places you have never been and make you feel as though you belong there. When you sit down with Paper Gods and Iron Men get comfortable, you won’t want to get up until the end. Wishing everyone a relaxing, peaceful, and enjoyable Christmas . . . 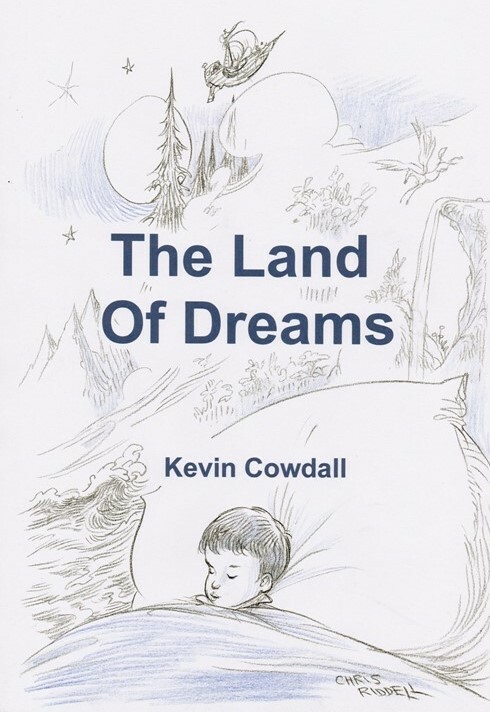 Thrilled and proud to have my poem for children, The Land Of Dreams, featured by Karen Argent at The Letterpress Project – illustrated by the creative genius that is Chris Riddell! For every wish that might have been . . . 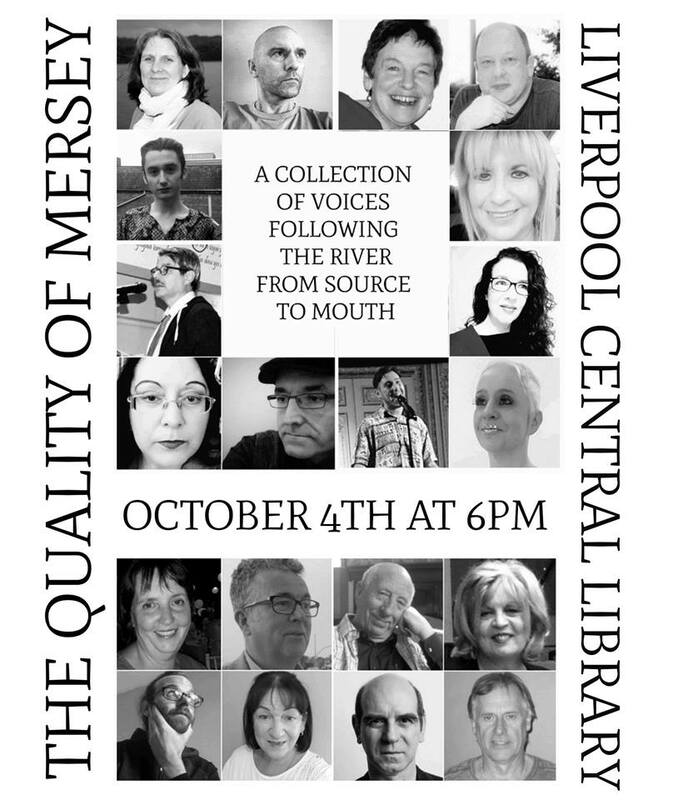 Celebrating National Poetry Day with the launch of The Quality of Mersey: a sequence of poems charting the river from its source to the Estuary. 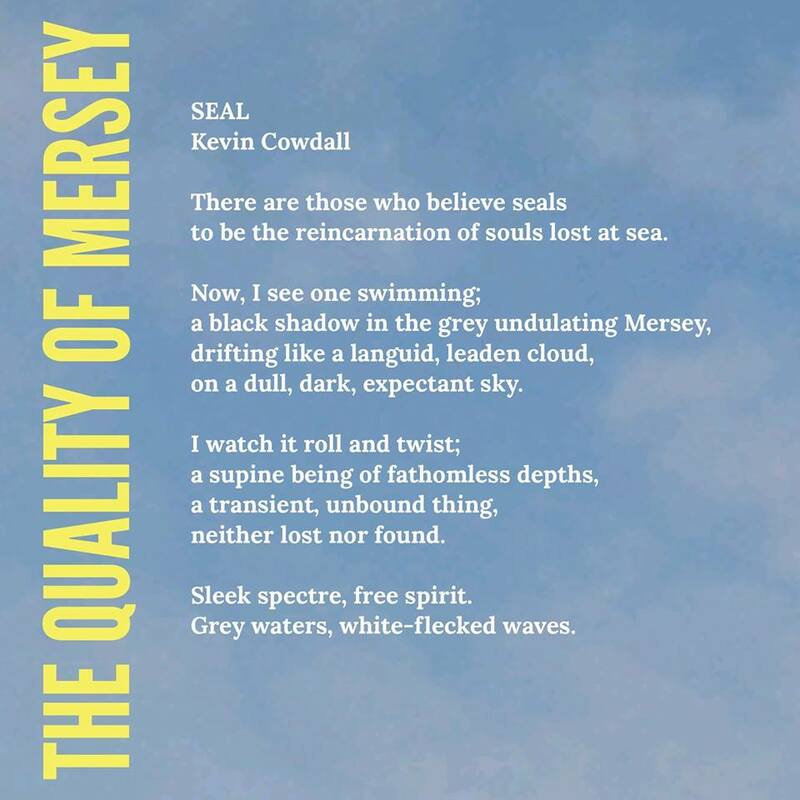 I am honoured to have two poems, Old Man of the Mersey and (a slightly amended) Seal, in the anthology, alongside some wonderful Liverpool voices. 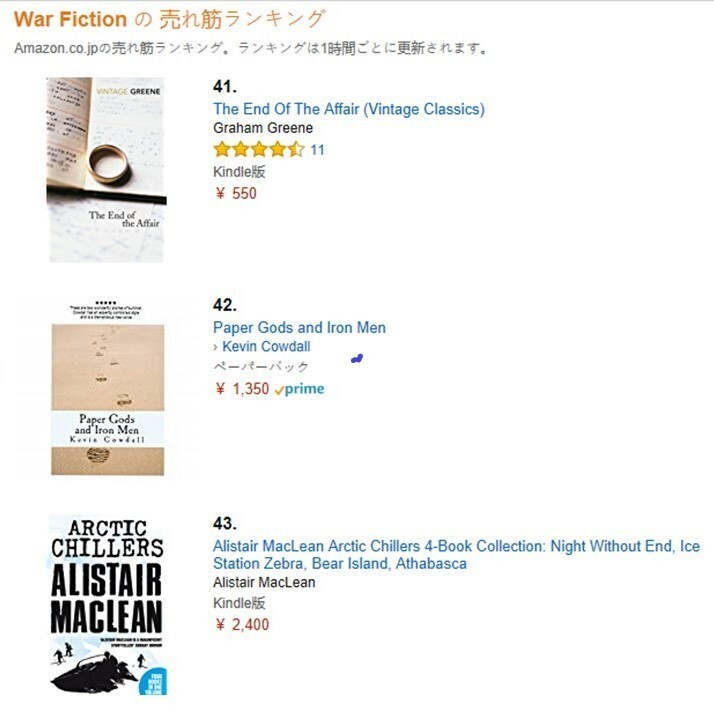 Woke up this morning to find Paper Gods and Iron Men is at Number 42 in War Fiction on Amazon Japan! 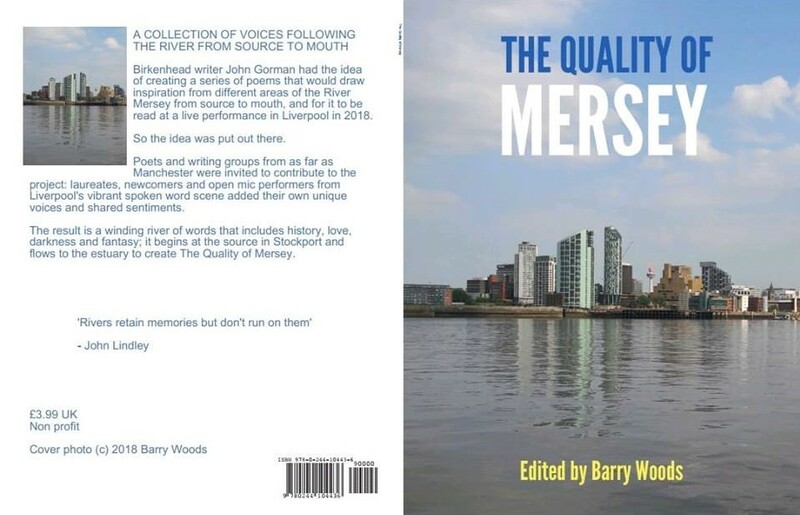 Proud and delighted to have two poems, Old Man of the Mersey and Seal (slightly amended) from the Assorted Bric-a-brac collection in this forthcoming anthology of poems chronicling the River Mersey from its source to the Estuary. 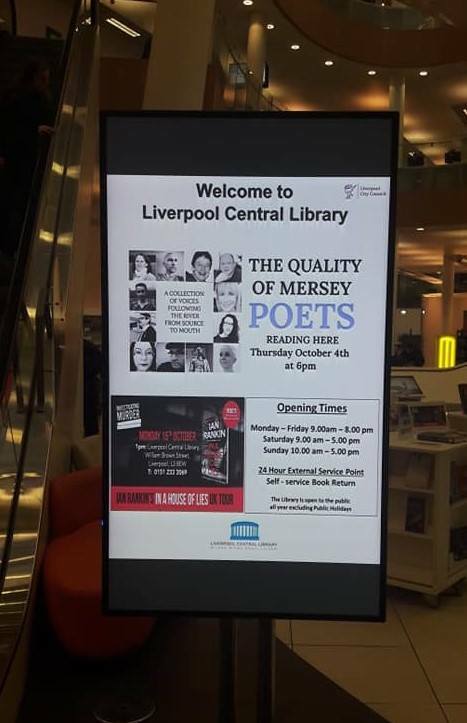 Looking forward to the official launch at The Really Great Big Poetry Event on Thursday 4th October – National Poetry Day, 2018. Thanks to Editor, Barry Woods, and the legend that is John Gorman. Not one, or two, not three, or even four, but five poems from the Natural Inclinations collection included in the latest edition of Sarasvati – The Dancing Dragonfly, The Enveloping Mist, The Flitting Bat, The Glinting Raindrop, and The Sentinel Heron. That’s 21 (42%) of the poems published to-date. Delighted to have The Solitary Seashell, another of the poems from the Natural Inclinations collection, published in The Mechanics’ Institute Review. I now have three promotional videos on YouTube. A promotional video for Paper Gods and Iron Men on YouTube . . . Delighted to have four poems; The Budding Ivy, The Fleeting Hare, The Dancing Dragonfly, and The Inscrutable Toad, from the new Natural Inclinations collection featured in this year’s BigLit Festival in Gatehouse of Fleet, Dumfries & Galloway, Scotland. 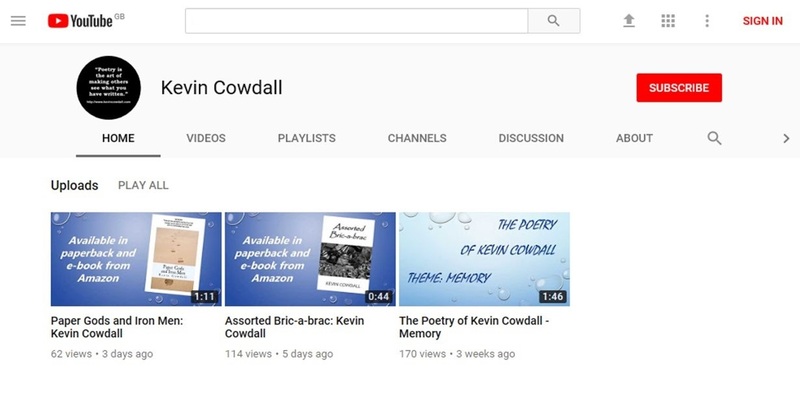 I have created and up-loaded to YouTube an animated video featuring four poems on the theme of Memory from the Assorted Bric-a-brac collection. Delighted to now have both Assorted Bric-a-brac (ISBN 9781521878422) and Paper Gods and Iron Men (ISBN 9781549843501) registered with Public Lending Right (UK & Ireland). Both books can now be ordered / lent from local libraries. 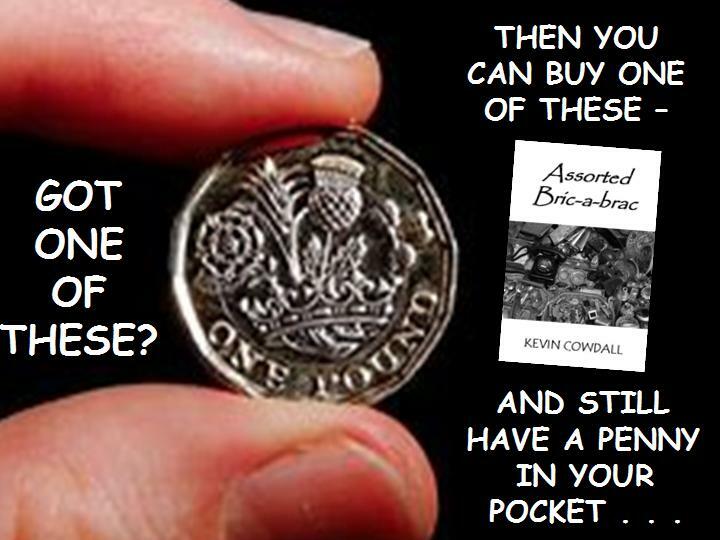 Assorted Bric-a-brac is now available as a Kindle Countdown Deal – offer ends at 11.00pm on Monday, 19th March . . . Delighted to have another poem, The Swooping Kestrel, published from the Natural Inclinations collection. With Thanks to Kusi Okamura and all at The Wild Word. Always pleasing to get a brief mention in the local newspaper. Today’s Liverpool Echo. Paper Gods and Iron Men now also available in paperback on Amazon. 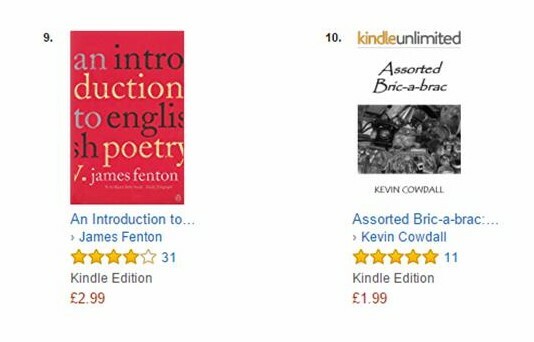 Assorted Bric-a-brac in to the Top Ten in the Amazon Best Sellers list for Kindle Store > Books > Literature & Fiction > Anthologies & Literature > Collections > Poetry ! 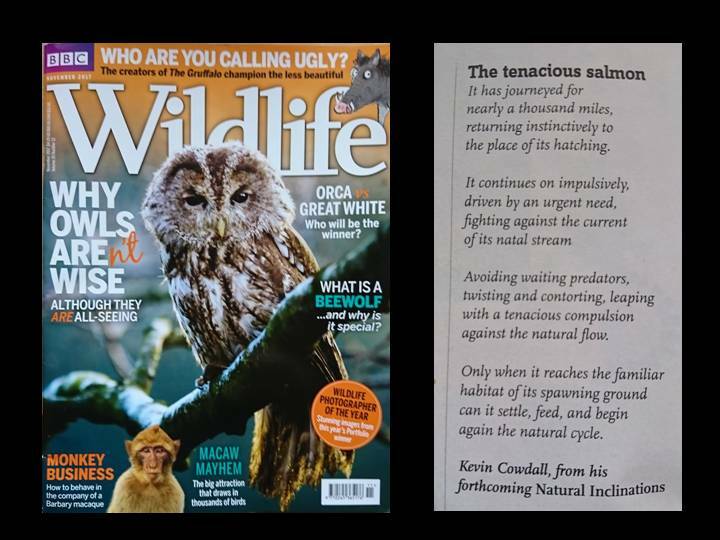 Delighted to have one of the new poems from the Natural Inclinations collection, The Tenacious Salmon, published for the first time in the current edition of the BBC’s Wildlife magazine. 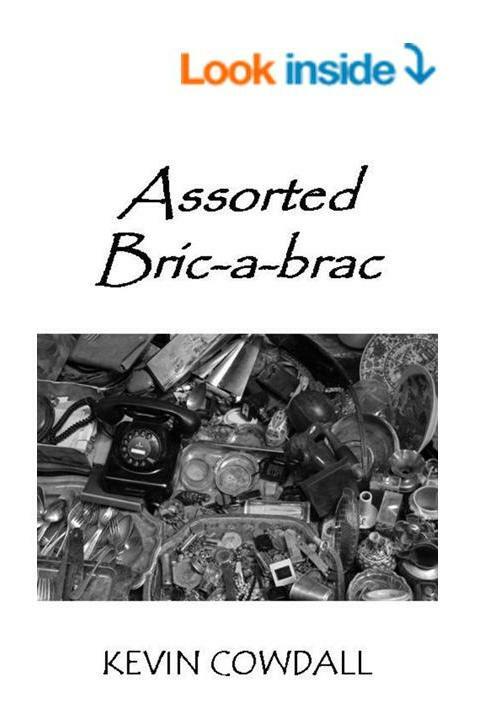 Assorted Bric-a-brac now available in Paperback! 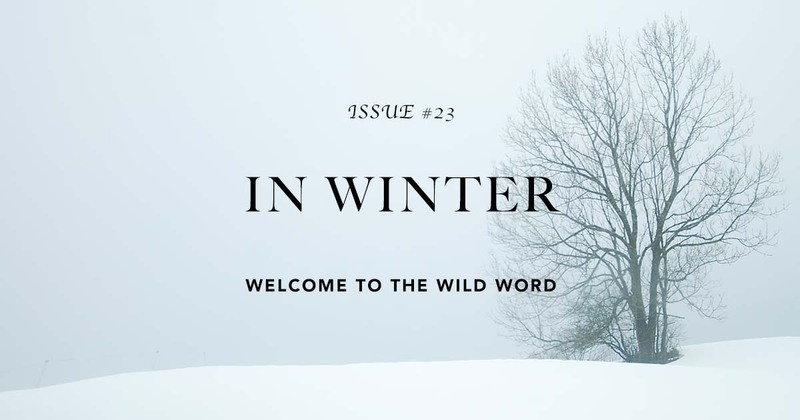 Delighted to have one of the new poems from the Natural Inclinations collection, The Shooting Star, published in the current edition of Lakeview. Another Five Star Review for Assorted Bric-a-brac. ★★★★★ Great book to dip into. A very pleasant read. Great book to dip into. 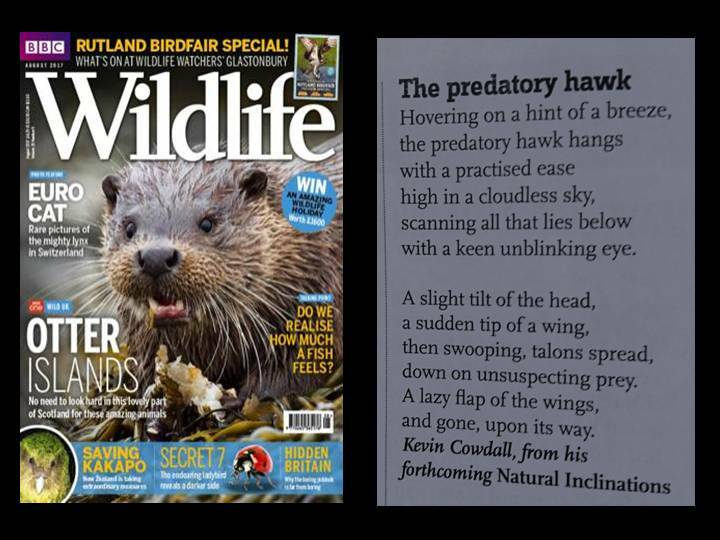 Delighted to have another new poem from the Natural Inclinations collection, The Predatory Hawk, published in this month’s Wildlife Magazine from the BBC. Delighted to have The Sheltering Serpent, one of the new poems from the Natural Inclinations collection, published in Strands. My thanks to all at Strands Publishers. 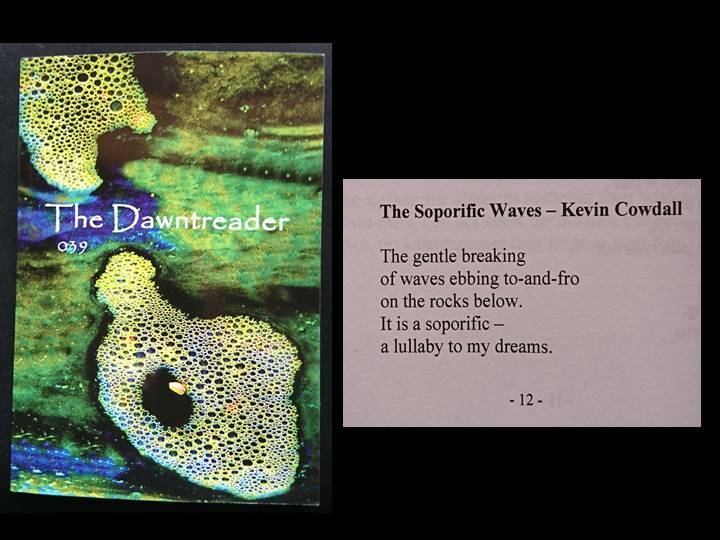 Delighted to have one of the new poems, The Soporific Waves (a Tanka), from the Natural Inclinations collection in the Summer issue of The Dawntreader. Thanks to all at Indigo Dreams Publishing. 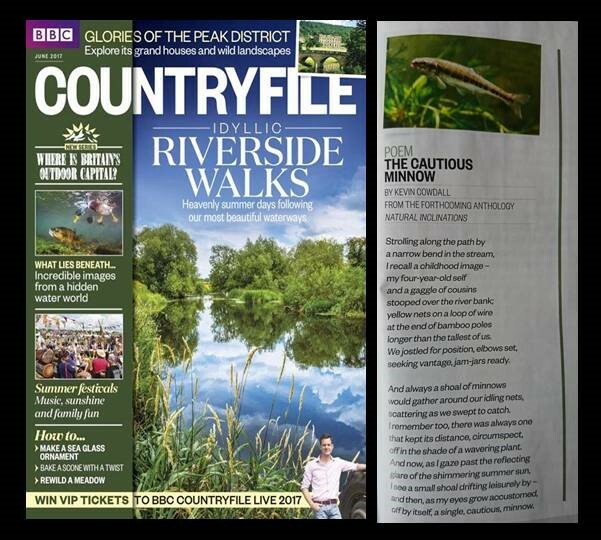 One the poems, The Cautious Minnow, from the new Natural Inclinations collection has been published in the June issue of the BBC’s Countryfile magazine. 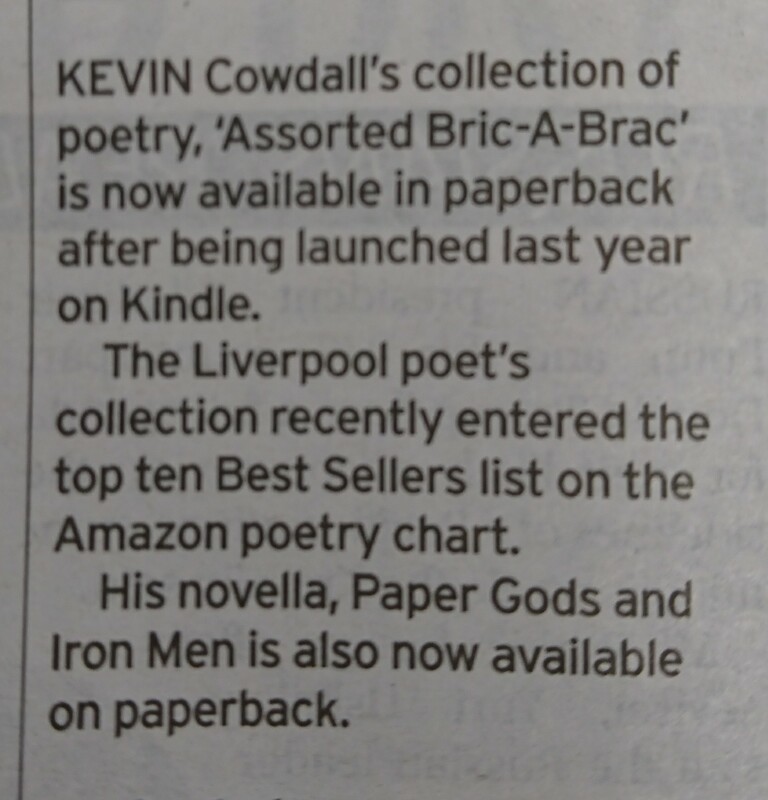 Another poem from the Natural Inclinations collection published in today’s Liverpool Echo. A lovely collection of poems, like finding a perfect shell on the beach – unexpected and beautiful. I do not profess to knowing anything about poetry but I do know about emotions and this collection makes you ‘feel’. My favourites were Clouds Pass By, Tangled Thoughts and Shadow Fall. I loved the change of pace with And Amid The Dark of Night and the simplicity I found in reading Love Letter. I could go on and on . . . suffice to say this is a wonderful body of work that should be read. Always nice when your home town newspaper publishes your work! 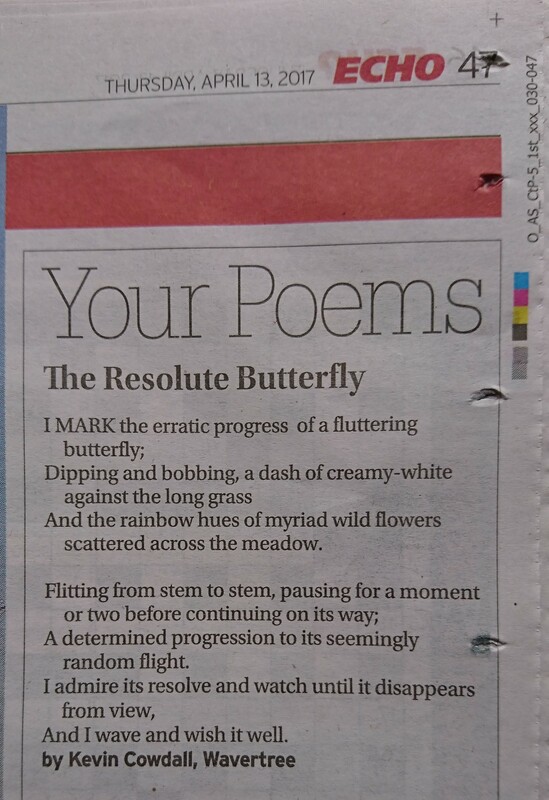 The Resolute Butterfly, one of the poems from the forthcoming Natural Inclinations collection, in today’s edition of the Liverpool Echo. Also been informed that the BBC will be including another of the poems from the collection in the June issue of Countryfile Magazine! Proud and delighted to have supported this wonderful poetry initiative from The Letterpress Project. I have now completed the new Natural Inclinations poetry collection; fifty poems with the common theme of various elements of nature / the natural world. I am now developing the Acknowledgements section. 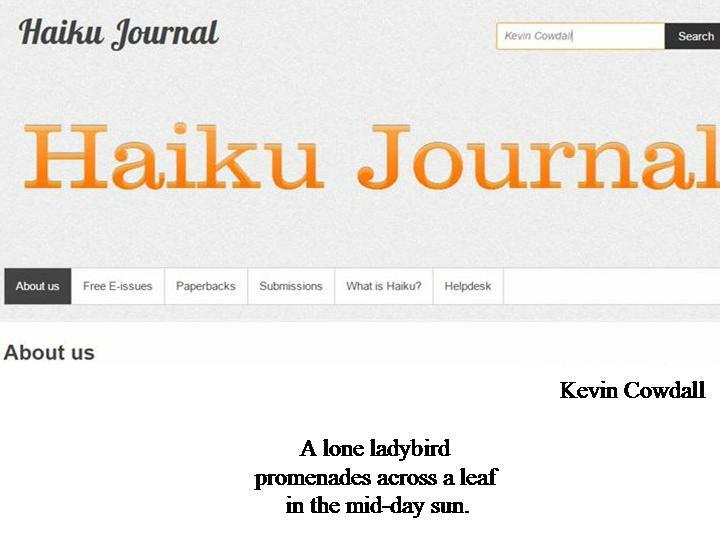 The Lone Ladybird has been published in Haiku Journal, (USA) and The Settling Snow on www.merseysidermagazine.com (UK). The Frantic Moth will appear in the Spring issue of Atlas Poetica: Journal of World Tanka (USA). Wishing everyone a peaceful, productive and rewarding 2017! An older poem from the Assorted Bric-a-brac collection . 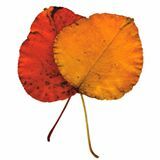 . .
Over the past few months I have been compiling a new poetry collection, Natural Inclinations, with a common theme of various elements of nature / the natural world, and have started submitting some of these poems to various magazines, journals, and websites in order to develop the Acknowledgements (. . . first appeared in . . .) section. in an even mantle of white. herself in her winter cloak. I’ve been working for the past two months or so on a new poetry collection, Natural Inclinations; aiming for 50 poems with a common theme of elements of the natural world. I have now started sending some off to poetry journals, etc. 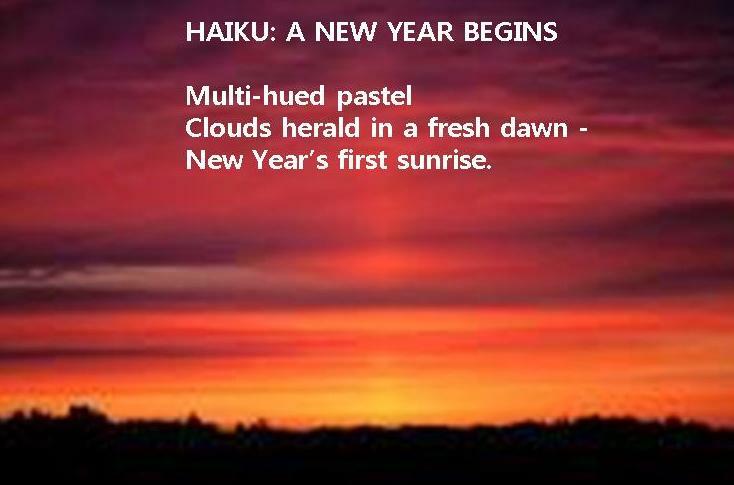 One of the three Haiku written to-date, The Lone Ladybird, has been included in Haiku Journal, published in the USA by Prolific Press. Another Five Star Review for Paper Gods and Iron Men on Goodreads and Amazon! North Africa, World War 2. An airplane is shot down. The two survivors – a prisoner and a war hero – set off across the desert with limited supplies. 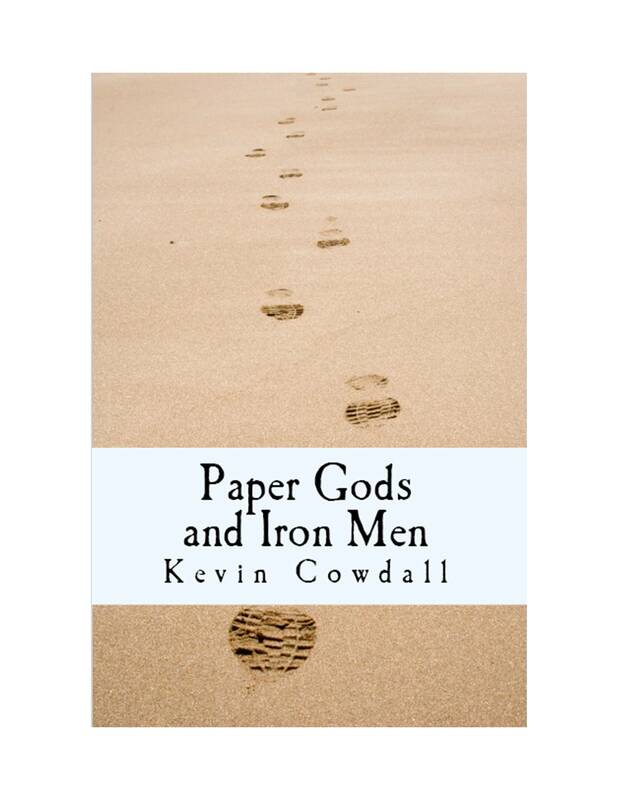 Paper Gods and Iron Men by Kevin Cowdall is gripping and atmospheric, with rich, vivid writing and strong characterization. The accompanying story, Flanagan’s Mule, is set in South America during the 1950s. It too tells the story of a dangerous trek and is also involving and really well-written. Marvelous stuff. The vagaries of war played out in the burning sands of North Africa, set during WW2 the story sees enlisted man Captain Poole and career soldier Captain McBride thrown together in a desperate fight for survival. The author obviously did a lot of research into the Desert Campaign which comes across in the descriptions of the vehicles and the area… but mostly this is a powerful short story of endurance against the odds. Well worth a read. 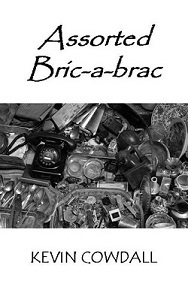 A ninth Five Star Review for Assorted Bric-a-brac on Amazon! ★★★★★ A wonderful collection of poems. A thoroughly enjoyable collection, full of poems to make you think. Rhythmic, descriptive, and reflective. Highly recommended. My first even non-Five Star Review for Paper Gods and Iron Men – only four – because it wasn’t long enough (think the clue was in the word ‘novella’)! ★★★★ I thought this book was great and really atmospheric. I thought this book was great and really atmospheric. I could feel the heat of the desert from the first page. I would have given it 5 stars if it had been a bit longer. I wanted to get to know the characters. 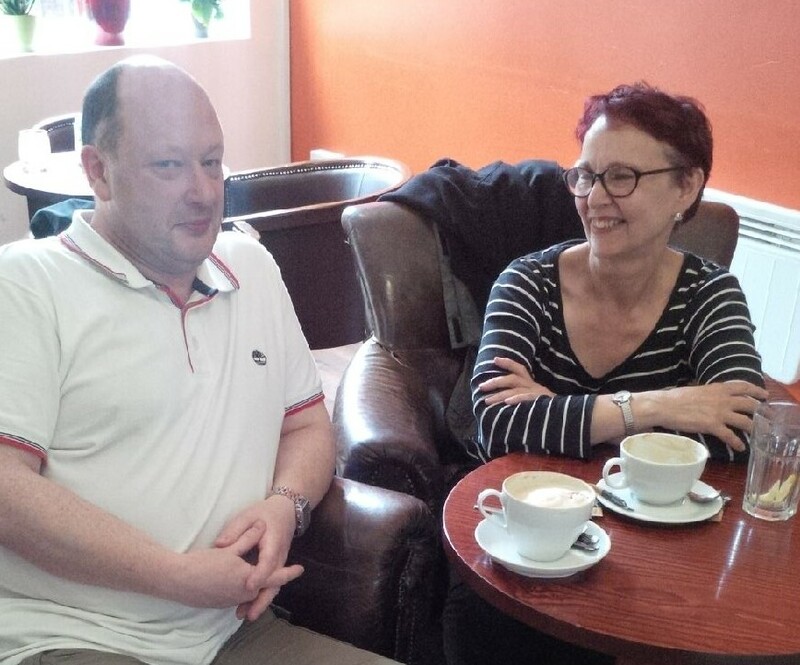 Met up for a coffee and a chat with author Carol Maginn (Ruin and Daniel Taylor) at Caffee Oro in Liverpool. Five Star reviews for both Assorted Bric-a-brac and Paper Gods and Iron Men on Amazon! ★★★★★ Like music for the soul. Some poets have it and some don’t. I know Kevin’s poetry from old and yet it still gets me every time. He places you ‘there’, entertains, makes you think and lifts you. More please! I loved this book. You could almost feel the heat, the grit of the desert and really empathise with the characters. Can’t helping thinking John Mills would have played it brilliantly in a film. A seventh straight Five Star Review for Assorted Bric-a-brac on Amazon! Wonderful, rhythmic, inspirational poems that take you into your own and the author’s world. Definite 5 stars! Another Five Star Review for Assorted Bric-a-brac on Amazon! ★★★★★ Excellent collection by a very talented poet. Having read Kevin’s terrific novella, Paper Gods and Iron Men, I was interested to see this collection of his poetry and was certainly not disappointed. His poetry is wonderfully descriptive and evokes thoughts of my younger days in many cases. 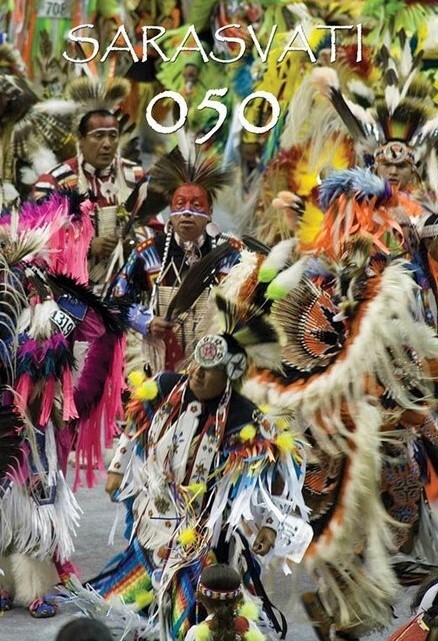 This is an easy to read, and very entertaining collection, easily worth five stars. ★★★★★ Poems to read over and over again! Wonderfully reflective poems, full of vivid images and descriptions. Highly recommended collection. ★★★★★ A collection to dip into again and again! Wonderfully evocative and descriptive poems. Really enjoyable and highly recommended. 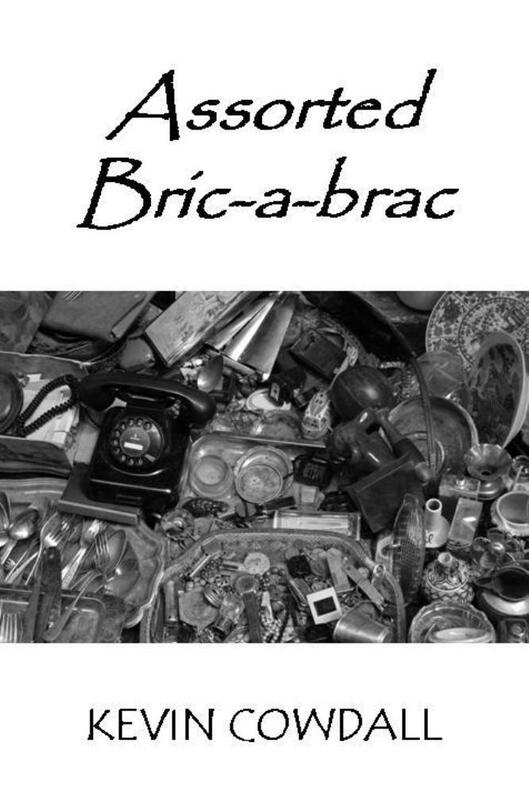 Assorted Bric-a-brac is at Number 13 in the Amazon Kindle Store Poetry Bestselller List! Top Author, Robert Southworth (The Reaper’s Breath, The Spartacus Chronicles), gives both Paper Gods and Iron Men and Assorted Bric-a-brac Five Star reviews on Amazon! Moves at a lovely pace and keeps the reader wanting to know more. Excellent and believable characters add to a charming and accomplished plot. The author caresses many sensitive subjects with a light and thoughtful skill, delivering poems that are in many cases, thought provoking. Another Five star Review for Assorted Bric-a-brac! ★★★★★ An evocative and thought-provoking collection! Poems full of imagery. Very evocative and thought-provoking. Highly recommended. 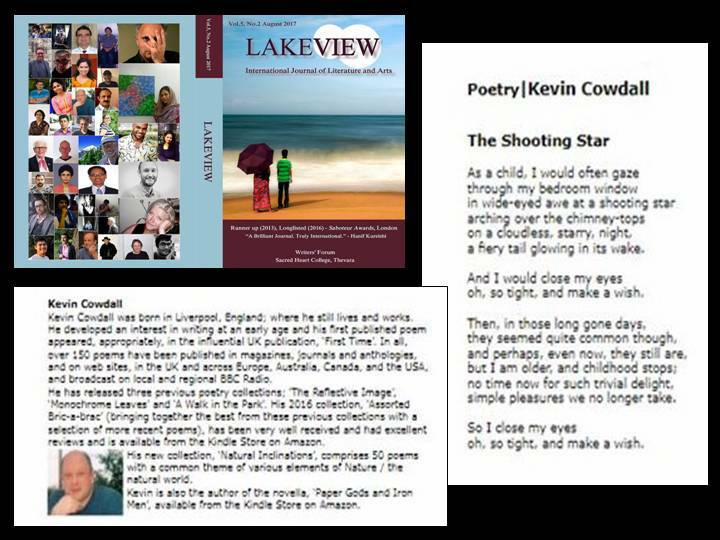 Another five star review for this collection of Kevin’s poems. I have read some of them before in his other publications but others were new to me and I wasn’t disappointed. The language and rhythm in the poems evoke powerful images and take you to familiar or new places in the imagination. Definitely worth a read and also checking out his other works. Best-selling author, Mark Ellis (Princes Gate, Stalin’s Gold) gives Paper Gods and Iron Men Five Stars on Amazon and Goodreads. The main story in this volume of two stories is an engaging and oddly moving novella about two soldiers who survive an air crash in the North African desert in WW2. The author is a poet as well as a writer of fiction and this comes through in his wonderfully colourful and evocative prose. The descriptions of the desert landscape and its extremes are superb. There is an accompanying enjoyable short story, Flanagan’s Mule. Highly recommended. The first Review for Assorted Bric-a-brac is in on Amazon – and it’s Five Stars! 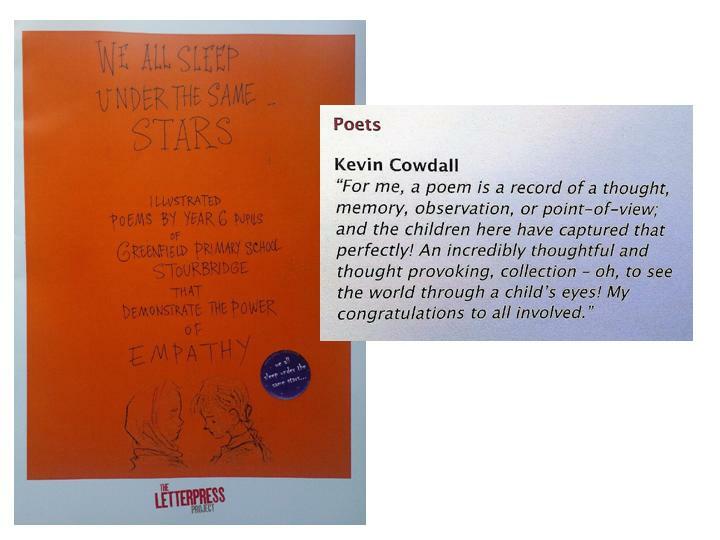 ★★★★★ An excellent anthology of some Kevin’s best poems. An excellent anthology of some Kevin’s best poems written during his long career as poet. A great collection to start with but I would also recommend anyone interested to look at Kevin’s other works including his novels. 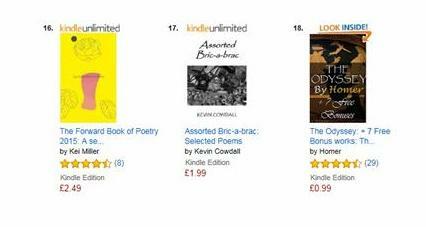 Assorted Bric-a-brac was published yesterday and has gone straight in at number 17 on the Amazon Poetry Best-seller list. A collection of fifty poems, available from the Kindle Store on Amazon. Best-selling author, Carol Maginn (Ruin, Daniel Taylor), gives Paper Gods and Iron Men Five Stars on Amazon! ★★★★★ To be read in one sitting! Two soldiers, sole survivors of a plane crash, trek across a desert in hope of rescue.This is a book to be read in one sitting. Make sure you have a cup of coffee to hand, and your phone on silent. Paper Gods and Iron Men is a vivid and gripping tale that just doesn’t let go. We are with the main characters on every step of the journey, as they struggle through a vast, hostile landscape. It’s a compelling read. and a book which I really enjoyed. And it’s bookended by Flanagan’s Mule, in which extreme rain takes the place of extreme heat, and we follow another unlikely hero – the Flanagan of the title – and his courageous companion, the Mule. A tense tale with unexpected twists, and a surprise ending. Another satisfied customer for Paper Gods and Iron Men on Amazon Kindle! A brilliant read, I felt that I was in the footsteps of the journey from start to finish. Short and to the point – a new Five Star Review of Paper Gods and Iron Men on Amazon UK. A great read. Look forward to Kevin’s next book !! The sun was out in force when we arrived . . .
or punctuate what we already knew. and still a shudder touches the spine. where the only freedom came with death. we have been inured by documentaries and history books. nor the barracks, the death blocks, or gallows. and more than all of these, the hair. or the dust of time stood still. A single three-bladed fan turned slowly in the centre of the ceiling, barely disturbing the scorching air which filled the small prefabricated hut like an oven . 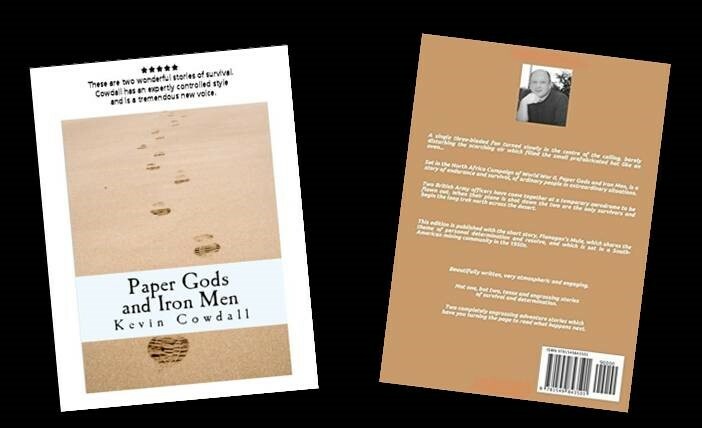 . .
Set in the North Africa Campaign of World War II, the novella, Paper Gods and Iron Men, is a story of endurance and survival, of ordinary people in extraordinary situations. Two British Army officers have come together at a temporary aerodrome to be flown out. When their plane is shot down the two are the only survivors and begin the long trek north across the desert . . . This edition is published with the short story, Flanagan’s Mule, which shares the theme of personal determination and resolve, and which is set in a South-American mining community in the 1950s. 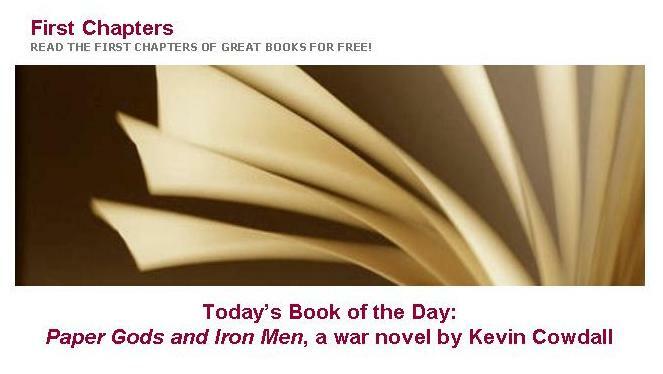 You can read the opening of Paper Gods and Iron Men for free on the First Chapters web site – just click on the image. Click on the icon to read the reviews for Paper Gods and Iron Men on Goodreads. Buy Paper Gods and Iron Men (with Flanagan’s Mule) in paperback or as an e-book on Amazon. 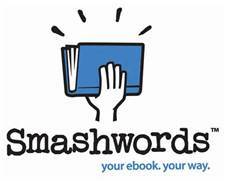 Paper Gods and Iron Men (with Flanagan’s Mule) is also available for Kobo, Nook, IOS, Android and other e-book readers through Smashwords. ★★★★★ Tremendous new voice. These are two wonderful stories of survival. Cowdall has an expertly controlled style and is a tremendous new voice. At times I was reminded of the early, and best, Norman Mailer. ★★★★★ An epic journey of survival. Intensely-felt and beautifully-written story of determination and grit. The author plunges his readers into a world which he imagines and describes with great vividness. At one level, this is a classic war story, but it is Kevin Cowdall’s prose which makes it something special. The writing varies from terse and gruffly masculine to poetic.Recommended to all who have ever imagined themselves on an epic journey of survival. ★★★★★ To be read in one sitting! Two soldiers, sole survivors of a plane crash, trek across a desert in hope of rescue.This is a book to be read in one sitting. Make sure you have a cup of coffee to hand, and your phone on silent. Paper Gods and Iron Men is a vivid and gripping tale that just doesn’t let go. We are with the main characters on every step of the journey, as they struggle through a vast, hostile landscape. It’s a compelling read. and a book which I really enjoyed. And it’s bookended by Flanagan’s Mule, in which extreme rain takes the place of extreme heat, and we follow another unlikely hero – the Flanagan of the title – and his courageous companion, the Mule. A tense tale with unexpected twists, and a surprise ending. ★★★★★ Engaging WW2 story. The main story in this volume of two stories is an engaging and oddly moving novella about two soldiers who survive an air crash in the North African desert in WW2. The author is a poet as well as a writer of fiction and this comes through in his wonderfully colourful and evocative prose. The descriptions of the desert landscape and its extremes are superb. There is an accompanying enjoyable short story, Flanagan’s Mule. Highly recommended. ★★★★★ Superb read. Moves at a lovely pace and keeps the reader wanting to know more. Excellent and believeable characters add to a charming and accomplished plot. ★★★★★ A great read, full of tension and suspense. 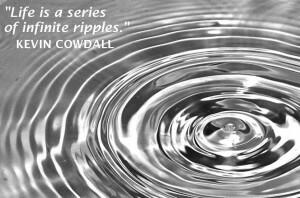 Kevin Cowdall has produced an excellent, edge of the seat tale of suspense and intrigue. This is a great story, brilliantly told, and I can wholeheartedly recommend it to readers everywhere. Equally entertaining is the accompanying short story, Flanagan’s Mule, a super short read that serves to highlight the author’s talent for creating stories of nail-biting tension. ★★★★★ Powerful story. We find our strengths in challenging situations .None can be more challenging to the human psyche than war. 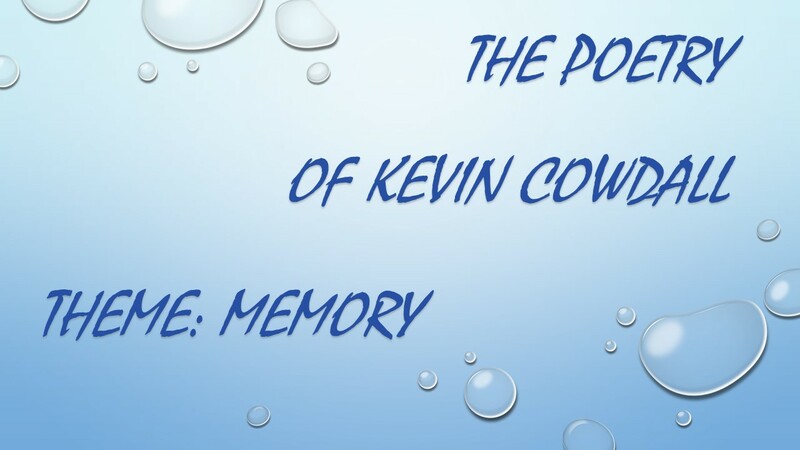 And so it was with Captain McBride and Captain Poole in Kevin Cowdall’s powerful story. Both men have to dig deep to understand and support each other through a gruelling desert journey. Flanagan’s Mule also explores the topic of human beings exploring the limits of their strength when circumstances demand. I thoroughly enjoyed both stories and highly recommend them. ★★★★★ One of the best short stories I ever read. Very well written – absorbing, gripping, held one in suspense from start to finish. As with Flanagan’s Mule you could almost be there. ★★★★★ Tense and engrossing! Not one, but two, tense and engrossing stories of survival and determination, which I really enjoyed and would highly recommend. ★★★★★ Well written captivating story. Extremely well written book. Was captivated by the author’s style of writing from the very first page. His descriptive style captured the atmosphere and made me feel like I was there. I was fully engaged by the characters and cared about them and their outcome. ★★★★★ Fantastic read. Great novella, keeps you engaged throughout, fully developed characters that you care about and so descriptive, you feel so involved in their story. ★★★★★ Great story. Beautifully written, very atmospheric and engaging. Would recommend this for sure. 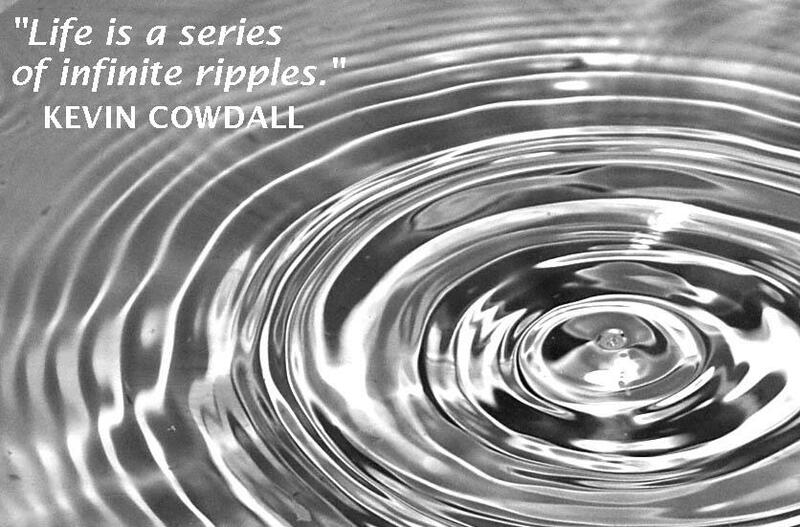 ★★★★★ I was absorbed from beginning to end… a most enjoyable read. ★★★★★ So good I read it twice! An exciting read which keeps you gripped throughout. I don’t normally read war stories but this changed my mind. I have told friends to read the story – the best recommendation! ★★★★★ Great read. Thoughtfully written and keeps you gripped as the two characters face their struggles. I’ve recommended it to others to read. ★★★★★ A real page turner! Two completely engrossing adventure stories which have you turning the page wanting to read what happens next. Strong characters and very atmospheric storylines – really tense writing and highly recommended! ★★★★★ Blown away. War stories aren’t usually my genre but this blew me away. ★★★★★ Two intense tales of survival. Set in harsh and testing locations, these are two really gripping adventure stories which pit man against the most trying of conditions. Very atmospheric and believable – with enough twists and surprises along the journey to make it a real page-turner. Highly recommended! ★★★★★ Five Stars. A brilliant read, I felt that I was in the footsteps of the journey from start to finish. ★★★★★ Great couple of stories! I was thoroughly impressed and can’t wait for his next work! ★★★★★ Couldn’t put it down. A thoroughly enjoyable book. Paper Gods and Iron Men would make a good film. Highly recommended. ★★★★★ Five Stars. A great read. Look forward to Kevin’s next book! My first poem was published in 1983 and since then I’ve had over 200 poems published in magazines, journals and anthologies, and on web sites, in the UK and across Europe, Australia, India, Canada, the USA, and have also been broadcast on local and regional BBC Radio. 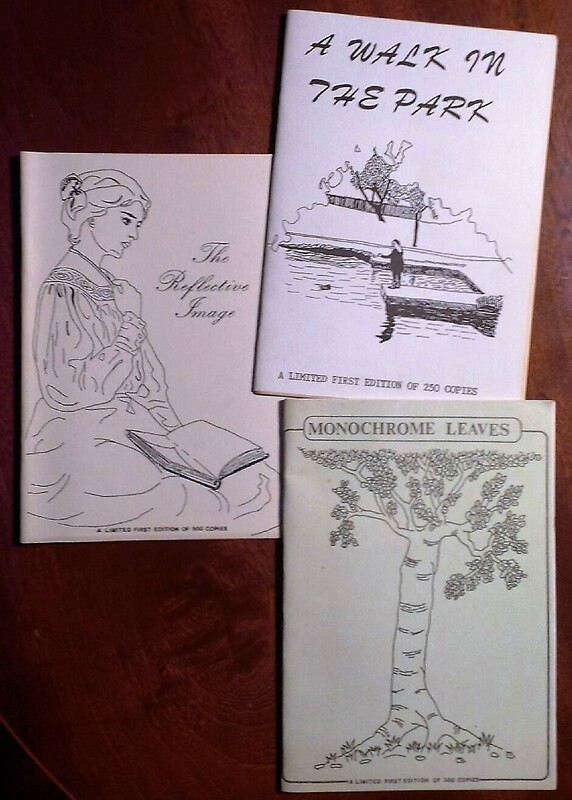 I have published three collections; The Reflective Image (1984), Monochrome Leaves (1985), and A Walk in the Park (1990). 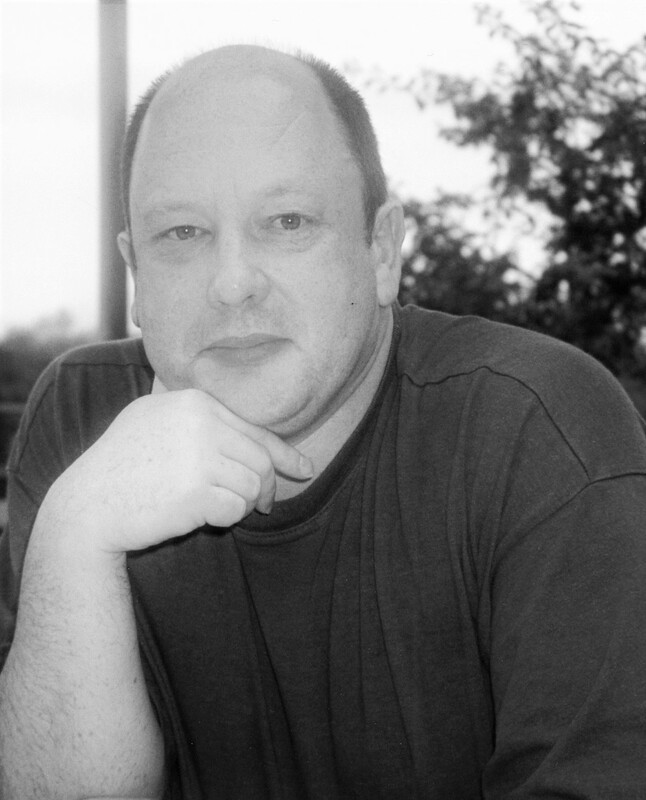 In 1986 The Writers’ Rostrum produced The Best of Kevin Cowdall; which was awarded a best collection prize at the 1987 National Small Press and Poetry Convention. 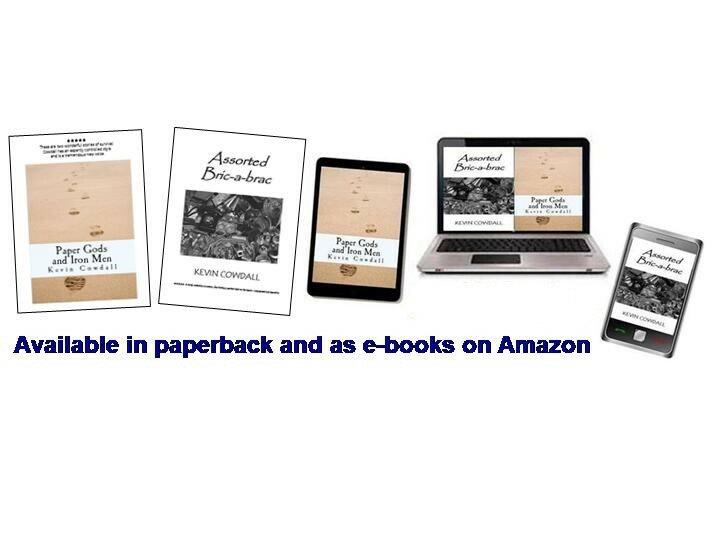 A selection of these early poems, along with several newer ones, have been collated in to a collection, Assorted Bric-a-brac, which is available in paperback and as an e-book on Amazon. 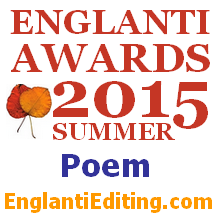 Englanti Editing, a Finnish-based project which uses poems, short stories and articles to teach English as a second language, reprinted my first published poem, The Photograph, and have published several others since; including Seascape At Evening, which won it’s 2015 Poem of the Year Award Award. ★★★★★ A Perfect Find. A lovely collection of poems, like finding a perfect shell on the beach – unexpected and beautiful. Suffice to say this is a wonderful body of work that should be read. ★★★★★ An excellent anthology of some Kevin’s best poems. An excellent anthology of some Kevin’s best poems written during his long career as poet. A great collection to start with but I would also recommend anyone interested to look at Kevin’s other works including his novels. ★★★★★ Another great read. Another five star review for this collection of Kevin’s poems. I have read some of them before in his other publications but others were new to me and I wasn’t disappointed. The language and rhythm in the poems evoke powerful images and take you to familiar or new places in the imagination. Definitely worth a read and also checking out his other works. ★★★★★ An evocative and thought-provoking collection! Poems full of imagery. Very evocative and thought-provoking. Highly recommended. ★★★★★ Poems to read over and over again! Wonderfully reflective poems, full of vivid images and descriptions. highly recommended. ★★★★★ Excellent collection by a very talented poet. Having read Kevin’s terrific novella, Paper Gods and Iron Men, I was interested to see this collection of his poetry and was certainly not disappointed. His poetry is wonderfully descriptive and evokes thoughts of my younger days in many cases. This is an easy to read, and very entertaining collection, easily worth five stars. ★★★★★ A collection to dip into again and again! Wonderfully evocative and descriptive poems. Really enjoyable and highly recommended. ★★★★★ Fantastic! Wonderful, rhythmic, inspirational poems that take you into your own and the author’s world. Definite 5 stars! ★★★★★ Evocative. The author caresses many sensitive subjects with a light and thoughtful skill, delivering poems that are in many cases, thought provoking. The first poem I ever had published was The Photograph; appropriately enough in First Time magazine (Issue 5, Autumn 1983). On a similar theme, Memory is my personal favourite poem of all those I have written (so far). Recess of the memory box. Seascape At Evening was published by Englanti Editing in March 2015 and won it’s Poem of the Year award. to the granite outcrop upon which we sat. to carry off their own unwanted litter. wings once and disappeared over the rim of the cliff. itself once more for a further onslaught. our way back to the flight of steps. Seal first featured in Assorted Bric-a-brac. 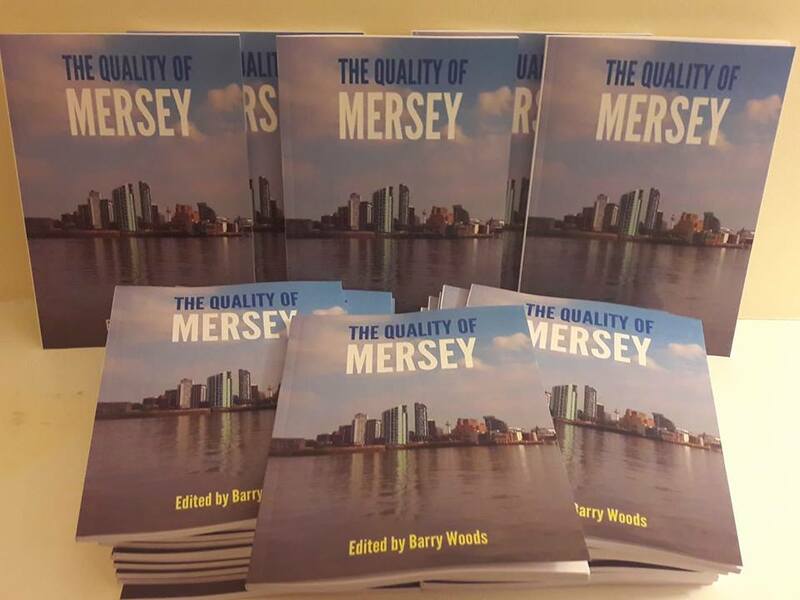 A slightly amended version was one of two poems included in the Quality of Mersey anthology, a sequence of poems following the River Mersey from its source to the Estuary. Novelist Michael Powell is approached by 81 year-old Catherine Coburn to write the story of her father, the Edwardian artist, Meredith Arthur Cosgrove. Michael visits Catherine and discovers that she has his ‘visual diaries’ – annotated sketchbooks, and her mother’s journals. Unable to resist, he agrees to write the story, as factually-based as possible, with key events and characters instantly recognisable, but with an elaborate fiction woven around them. Between 1923-4 Cosgrove produces The Three Graces: studies of a young woman bathing – the model; the 17 year old Emily Coburn. When the first painting was begun the two were already lovers, by the time the third was finished, Emily was pregnant by the 39 year-old artist. 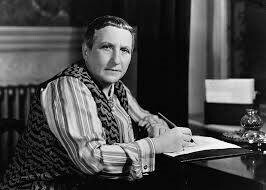 The scandal forces them to move to Paris, where they and are adopted by the city’s Bohemian community, including Ernest Hemmingway, Ford Madox Ford, James Joyce, Pablo Picasso and Gertrude Stein. Part 1 of Cosgrove’s Sketches covers Michael’s research work and events in his own life. Parts 2-3, Cosgrove’s development, his relationship with Emily, his untimely death and Emily’s return with their daughter to England; with subtle counterpoints between Edwardian and modern-day society. An Epilogue gives a final twist to the story. It was on one of these days, while they relaxed at a table outside one of the cafés sipping their coffees and watching the world pass by, that a stranger strolled past, paused after a few paces to glance back at them and then retraced his steps and approached their table. Cosgrove had the vaguest sense of recognition as he took in the middle-aged and somewhat portly figure with his fair hair and moustache standing before them, hat in hand, but could not quite place him. ‘Ford. 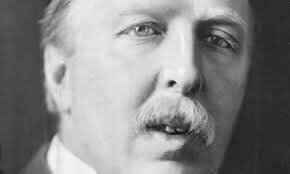 Ford Madox Ford,’ the other stated, holding out a hand. Ford waved aside the apology and the two shook hands warmly. Emily blushed slightly and Cosgrove smiled tolerantly and invited him to take a seat and join them. ‘How long have the two of you been in Paris?’ he asked as he sat, ordering three more coffees as he did so from a passing waiter. ‘Of course. Actually, it’s only a few minutes walk from my rooms. You must call round, I insist. May I?’ He took a pencil from his pocket, wrote his address on a scrap of paper and handed it to Cosgrove. ‘Merry!’ she laughed, and the others joined in. The waiter brought their coffees then and they fell silent until he had laid everything out to his fastidious satisfaction and removed the previously used cups. ‘You plan to have your child here then?’ Ford asked at length, watching them inquisitively over the rim of his cup as they drank. ‘It would seem as good a place as any – we certainly shan’t be returning to England in any hurry,’ Cosgrove acknowledged with a tinge of the dormant resentment he felt rising to the fore. ‘How dreadful.’ He shook his head despairingly at the notion and caught the look in Cosgrove’s eye; as if acknowledging all that she had left behind, or perhaps all he had taken her away from. ‘Fortunately,’ he declared then, more cheerfully, ‘one can never be without friends in Paris. I count you amongst my own friends already, if you are willing to accept me as such, and I know any number of people who will be only too eager to make your acquaintance.’ He drained his cup and pushed back his chair, taking out his watch to check the time. ‘I really must be going now, but if you would care to call on me on Friday evening – shall we say about eight-thirty? I would dearly like to take you to my favourite bar and introduce you to whoever happens to be there.’ He reached in to his pocket to extract a coin but Cosgrove checked him with a gesture. They rose and shook hands in farewell and Ford and Emily bade each other adieu. ‘Until Friday,’ he called over his shoulder as he donned his hat, gave a brief wave and was lost in the crowd. …most peculiar and outlandish, in both manner and appearance! We have no way of knowing for sure of course, but should not be surprised if the grand doyenne of such an established hedonistic circle had more than a passing interest in the appealing and impressionable young model for more than artistic reasons. Certainly Emily did not particularly enjoy finding herself alone in close conversation with Stein at the regular soirées she and Cosgrove were invited to at her salon, although, given a touch of artistic license, a little tête-à-tête at one such gathering provided a pleasing passage in the novel. ‘Ah, Emilé – come, please, sit next to me,’ Gertrude instructed warmly, patting the empty space on the sofa beside her where, by long established custom, a seat was only to be taken by invitation. Emily glanced around her quickly, but Cosgrove stood over by the window with his back to the room seemingly engrossed in conversation with two young men she did not recognise. She smiled graciously, if resignedly, and took the proffered place. ‘You are not enjoying yourself, my dear?’ The question was punctuated by the merest astute piercing of the lips and Emily was quick to reassure her hostess. ‘Oh, they are always so well organised,’ Emily agreed, encouragingly. ‘Like the Lost Boys?’ Emily wondered absently. ‘I see,’ Gertrude interrupted thoughtfully. ‘And here I am in my very own little Neverland – surrounded by my very own lost boys and girls. Yes, a whole generation of them, in fact.’ She sat back meditatively, so absorbed in her thoughts then that for once she barely acknowledged Cosgrove as he eventually made his way over, so that he was able to lead Emily away without undue protest. After the death of her father in a racing accident, five year old Susan Clarke and her mother, Carol, leave England to stay on her uncle’s farm in Southern Ontario, Canada. Carol, glad to escape the media circus which surrounded her husband’s tragic death, spends her time re-adjusting her life and coming to terms with her lose in the comparative peace and seclusion her new surroundings offer. Susan takes to such an upheaval with any young child’s simple sense of sudden change; shy and unsettled at first, but driven by a natural curiosity and a desire to explore her new surroundings. Having seen a fox for the first time just before they arrived at the farm – being hunted across the surrounding countryside by local land owner, Lord Dinsdale, Susan is delighted to discover a vixen and her cubs in the woodlands which border the farm. To a five year old child they are simply picture-book characters come to life and she interacts with them as she would any domestic pet, unaware that her uncle views foxes far differently; as pests to be caught and destroyed to protect his livestock. The story follows events over the next few days as the two are introduced to the natural beauty and delights of the surrounding countryside, including a picnic at a derelict mill where the three are caught in a thunderstorm. While traditional in format and storyline, The Dinsdale Fox explores adult themes such as bereavement and loss, fox-hunting (perhaps never a more contentious issue than it is today) and celebrity / media intrusion – all from a young child’s perspective. In writing the story, it became clear that there was a natural sequel, Snow Cubs, which gives a twist to the apparent ending and picks up the story a few months later over the Christmas period. Touch – for there is a spirit in the wood. Susan entered the farmyard and crossed to the chicken run but the heat had driven the birds into or under the hen-house to seek the shade. One of the hens raised its head and blinked at her with a lazy eye. Susan made for the small barn opposite but found nothing of interest, save for a few oil drums, a couple of dirty and rusted pieces of old machinery and some plain cardboard boxes bound in tape. On impulse she skirted the farmhouse. A small wood backed onto the building, a hedge dividing the fringe of trees from the yard. A wooden gate hung open on its hinges at one end and she moved toward it. Beyond the hedge the grass grew tall and wild and the brambles clutched at her skirt and socks. The still afternoon air was alive with the sound of the woodland creatures. Susan stood listening and watching and all of a sudden a rabbit dashed across her path. She gave chase but the animal was quickly lost in the tall grass. She moved on for a while until she broke free of the undergrowth and stood in the ancient heart of the wood. Here the trees rose over sixty feet before the first huge limbs reached out from the massive trunk. To Susan they seemed to touch the sky itself. For a full minute she stood motionless, gazing up at a drifting wisp of cloud through the canopy of swaying branches. Then a sudden movement caught the corner of her eye. She turned quickly, scanning the shadows but she could not penetrate their depths. Unseen, the fox marked her approach until she was only a few feet away, then took a backward pace, ears pricked. Susan heard the faintest of rustles and caught sight of the patch of reddish-brown amid the gorse. With a tentative hand she pulled the branches aside. The deep amber eyes held her gaze without flinching, without fear. Susan stood spellbound. All at once, perhaps at some distant noise she herself could not detect, the fox turned with a contemptuous flick of its brush and took off. Susan made to follow but the fox was already gone. She searched the undergrowth for several minutes without success then, with a final glance around her, a last hope that the fox might show itself again, she made her way back to the farmhouse. Deep in the shadows, the fox watched her go. My first published short story was Sauce For The Goose, which appeared in Writers’ Own Magazine in 1985. Other stories have been published in various magazines and anthologies over the years. I have now collated nine of these in to a collection, The Ophelia Garden, ready for submission. Talking To God was written as the first in a series of duologues exploring a variety of philisophical themes and issues. It was a prize-winner in the 2005 H E Bates Short Story Competition and was subsequently published in the anthology, Journeys In Time (2006). A silence of several seconds. ‘An old man with white hair and a long beard I suppose. The story takes place throughout on the patio area of a house situated on the outskirts of a village somewhere in the Home Counties. The four Acts coincide with the seasons of the year and lighting, characters’ clothing and set decorations, such as potted plants, should reflect the changing time of year. Donald Travers, a hugely successful author, becomes aware of his own mortality after the first of a serious of attacks brought on by a degenerating heart condition. Using his, often acerbic, wit as a defence mechanism, he deflects any thought of what, as the play progresses through his final year, becomes inevitable. His daughter and her partner, his agent, GP and even his ex-wife become foils to his verbal sparing, sometimes giving as good as they get, often allowing him the victory. Beneath the façade, Donald has a determination to put his affairs in order and ensure that those dear to him are left secure for the future, sowing seeds here and there throughout. Juliet, his much younger partner, works under the strain of keeping the reality of the doctors’ diagnosis from him as he embarks on his autobiography, believing, mistakenly as it turn out, that he is unaware of the seriousness of his condition. Having come full circle from the opening scene, which appear to be an ending, the play ends with what is actually a new beginning for all – Donald’s carefully laid plans having all borne fruit. 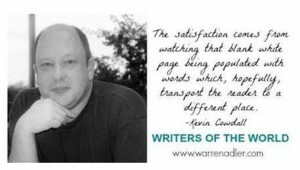 Best-selling author Warren Adler (War of the Roses, Random Hearts) sponsored a series, Writers of the World, on his website for authors to explain what drives them to write. I was delighted to be featured. I’ve always been an avid reader and was brought up on the classics of childhood and adolescent literature, and I grew up as a child in the 1960/70’s Golden Age of escapism television; so it’s no wonder I started acting out, and then writing down, stories of my own. Whether it’s a poem, short story or longer work, I usually start with one mental image of a ‘scene’, which gives me the catalyst of a theme and I build from there. This could be the opening, the end, or anywhere in between! The rest falls into place as I progress – unorthodox and possibly chaotic, I know – but it works for me! I’ve been asked several times which genre I write in, but I don’t have a specific area of interest. For me it’s about the emotional appeal of that first ‘scene’ that pops in to my head and building on that to create believable characters, situations and plot lines. 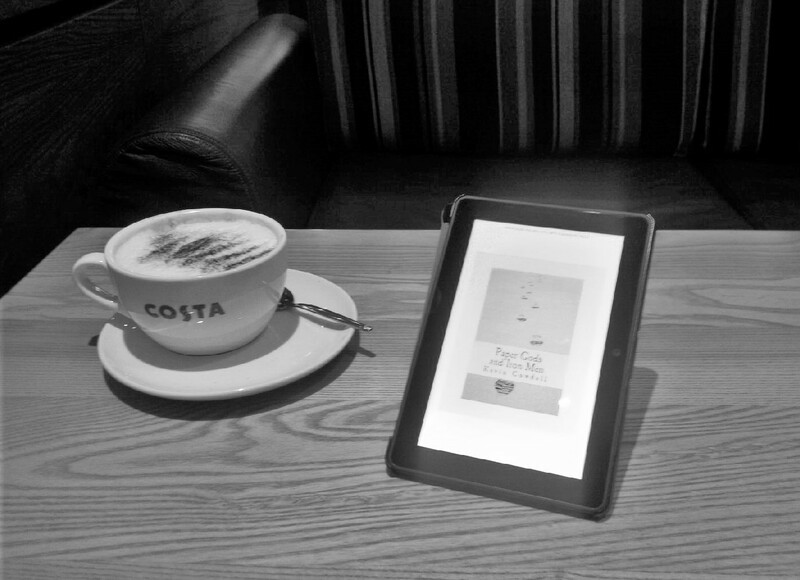 The satisfaction comes from watching that blank white page being populated with words which, hopefully, transport the reader to a different place – I want him or her to be able to see the ‘scene’ they are reading as I did myself when I first imagined it. When a review states, ‘you could almost be there’, I know I’ve got it right. That’s why I write – so that it is there for all to share. Historical novelist Debbie Brown (Castles, Customs, and Kings) featured my article on why war is really about the individual experiences of ordinary people, not the perceived glory or actual horrors, in her English Epochs 101 blog. A few months ago The Telegraph published one of it’s periodic ‘Best of…’ lists, selecting the ‘Best War and History Books Ever Written’; a mix (or mish-mash, depending on your point of view) of historical fiction and non-fictional history. Such selections are always subjective and, whilst we all have our own particular favourites, many of us would, I think, certainly include several novels from the list, and might well disagree with the selection of others. For the record, The Telegraph’s list included: Erich Maria Remarque’s All Quiet on the Western Front, Ernest Hemingway’s A Farewell To Arms, Stephen Crane’s The Red Badge of Courage, Norman Mailer’s The Naked and the Dead, Joseph Heller’s Catch-22, Thomas Keneally’s Schindler’s List, Sebastian Faulks’ Birdsong, and Evelyn Waugh’s Sword of Honour and Pat Barker’s Regeneration trilogies, amongst others. What struck me most about the choice of fiction on the list was that, almost without exception, the main focus of these works is not on the perceived glory / actual horrors of the fighting (indeed several are, undeniably, anti-war in tone), but on the individual, often poignant, experiences of the participants, both combatants and civilians, and how conflict and struggle on such a scale can permanently change individuals and societies alike. The selected novels do not glorify war and few, if any, have a recognisable derring-do, swashbuckling ‘hero’ in the traditional sense of, say, The Three Musketeers of Alexandre Dumas, Bernard Cornwell’s Richard Sharpe, Aragorn, Legolas, Gimli et al in J.R.R. Tolkien’s Lord of the Rings, those of classic mythology and epic poetry such as Beowulf, The Aeneid, The Iliad and The Odyssey, and the Arthurian legend; nor even the anti-heroes and adventurers found in the works of Robert Louis Stevenson, Sir Walter Scott, H. Rider Haggard, G. A. Henty or Jules Verne. As Remarque commented about the semi-autobiographical novel, All Quiet on the Western Front, “This book is neither an accusation nor a confession, and least of all an adventure”: He takes no overt political or moral stance as such, does not glorify or condemn; he simply tells a story and lets the reader fill in their own blanks. It is this which has, perhaps, contributed to making it (and the others on the list) such an enduring classic. Likewise, Tolkien opines, “Courage is found in unlikely places.” In other words, like the characters in the above stories, recognition is not consciously sought, but nor is it shirked in the face of adversity or seemingly insurmountable odds. Characters become merely victims of the singular, and often bewildering, situations in which they find themselves, driven by, and responding to, unprecedented circumstances in a manner beyond their accepted norms of experience or comprehension. As Harper Lee has Atticus Finch declare in To Kill a Mockingbird, courage is, “When you know you’re licked before you begin, but you begin anyway and see it through no matter what”. Such is the theme of my novella, Paper Gods and Iron Men. This Kindle edition is published with the short story, Flanagan’s Mule, which shares the theme of personal determination and resolve, and which is set in a South-American mining community in the 1950s. Englanti Editing is a Finnish-based project which uses poetry, short stories and articles to teach English as a second language. It has published a number of my poems, an excerpt from Paper Gods and Iron Men, and also featured an author interview. Born, raised and still living in Liverpool, Kevin combines being a freelance training and development consultant with his passion for writing. Having had over 150 poems and several short stories published to date, he has also written three novels and a play. My ‘day job’ is as a freelance consultant. Since leaving Liverpool City Council four years ago, I’ve been supporting local community groups, CICs and charities with fund-raising, governance, policies and procedures, project development and so on, and have helped several individuals and organisations set up / develop their Linkedin Profiles and draft CVs. As you know, I’ve also released my first book, Paper Gods and Iron Men, on Kindle. It’s received excellent reviews and this has encouraged me to resubmit my novel, Cosgrove’s Sketches (about an Edwardian Liverpool artist), to agents and publishers, and to start sending off poems, short stories and other work again. In my spare time, I’m an avid reader, enjoy live and recorded music (predominantly classical, opera, jazz and blues), theatre- and cinema-going, dining out and travelling widely. I also support Liverpool FC and Lancashire County Cricket Club. Liverpool is essentially a collection of villages dating back to pre-Domesday Book times which were pulled together in the 18th and 19th centuries to form the city as we know it today. I live in the south of the city, in a borough called Wavertree. There is a large public park in the centre – I was born on one side, grew up on another and now live on a third. George Harrison was born in Wavertree and John Lennon grew up here. The actress, Kim Cattrall, and the actor, John Gregson, amongst others, were both born in Wavertree. 3. Have you lived in another country or studied any languages? Never lived abroad, although I’ve travelled widely over the years (haven’t been to Finland yet, thought) and have thoroughly enjoyed my times in many cities / countries around the world. I learnt French (and Latin!) at school, but that’s as far as it goes. 4. How has that influenced you? The travel? I’ve always been fascinated by other cultures and try to absorb as much as possible (especially the food! ), whenever I travel. I do find tourists who expect all the ‘home comforts’ and spend all their time complaining about the local food / weather / customs, etc., quite strange and wonder why they ever bother going abroad at all. 5. Can you remember a learning experience or instructor that inspired you? As far as the writing goes, I’m indebted to Warren Adler (War of the Roses, Random Hearts) for really encouraging me to release Paper Gods and Iron Men on Kindle. He was a consultant with Sony when they were pioneering the e-reader and saw the opportunities well before most. Whatever people’s views on e-books (and they are diverse), it has been a great experience for me. 6. Who do you think are great demonstrators of the English language? So many! Politicians such as Churchill of course (who drafted his own speeches, as opposed to today’s shallow PR-obsessed, brigade) and William Wilberforce, amongst others. Playwrights such as Oscar Wilde and George Bernard Shaw; and how many phrases still in use today do we owe to Shakespeare? I used to really enjoy watching The Parkinson Show in the 1970s-80s; when he seemed to have all the great Hollywood raconteurs – Orson Welles, Bette Davis, David Niven, Peter Ustinov, Richard Burton, etc, musical greats such as Duke Ellington, and so many others: Jacob Bronowski, Alistair Cooke, John Betjeman, and so on – people who could say more in one sentence than the majority of modern ‘celebrities’ can put in to a (ghost written) autobiography. 7. Name three books you would keep if all others were taken from you. Don Quixote by Miguel De Cervantes Saavedra – because it’s been at the bottom of my To Be Read’ pile for years and I’ll definitely read it one day! The Adventures of Tom Sawyer by Mark Twain – because it’s the book which inspired me to want to write when I first read it as a pre-teen child. 8. How do you use written English in your job or in life? As a writer, I’m obviously constantly using it – stories, poems, blogs, Facebook pages, interviews, etc. In the day job – in presentations and meetings with clients for bids, policies, training, etc. 9. How is your English different from others? The Scouse accent has strong elements of Irish and Welsh and a bit of Lancastrian – it’s been described as being: ‘a fast manner of speech, with a range of rising and falling tones not typical of most of northern England’. 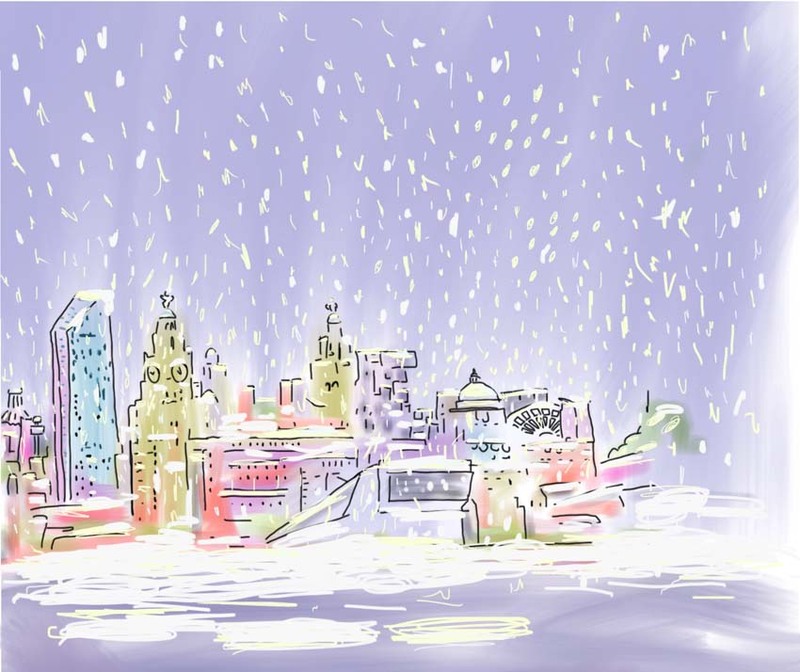 There are actually some variations on the Scouse accent within the city; with those in the south side of the city having a softer, more lyrical tone, and those in the north a slightly more gritty tone. I think the accent has actually changed noticeably over the years – listen to the Beatles in the 60s and Steven Gerrard or Jamie Carragher more recently. 10. Do you have any tips for those learning English or wanting to improve their writing? 11. How do you think English is evolving in the modern age? Is quality still important? I despair at the culture of text-speak. I’m a complete pedant and bad spelling / grammar really makes me cringe! Quality is essential – how well we communicate with others is one standard by which we are all judged. In my ‘day job’ as a freelance training consultant I meet with others who are equally appalled at the standard of written and verbal English evidenced by job applications, interviewees, student placements, etc. 12. What are your plans for the next 12 months? As I mentioned, I’ve started sending work off again, so I’m looking for publishers / agents for my novel, Cosgrove’s Sketches, my traditional children’s story, The Dinsdale Fox, and a production company / agent for my play Sometimes. In the meantime, I continue to develop the day job; meeting new clients, making presentations and generally trying to balance everything, while paying the bills! 13. How can people contact you if they want to know more? The pride and joy of ‘the world’s most prolific Anglophile’, Michigan’s own Scott Lyman, The Shipping Forecast blog is dedicated to spotlighting up-and-coming and established British writers. After taking an extended New Year holiday, we returned to (and a brushed a few cobwebs off) the hallows of Anglophile Studios for a proper chin wag with Mr. Cowdall, the Liverpool-based author of the critically praised novella, Paper Gods and Iron Men. After going through several cuppas and biscuits, we engaged Mr. Cowdall in an interview about his work, his interests, his influences and his devotion to Liverpool FC. We extend our sincerest gratitude to him for his time and consideration. I was brought up reading the classics of childhood and adolescent literature; Enid Blyton’s Secret Seven and Famous Five, and the stories of Robert Louis Stevenson, G A Henty, Mark Twain, Jules Verne, C S Lewis, H G Wells, Richard Hughes, Laurie Lee. etc. Add to that the fact as a child in the 1960’s I had the Golden Age of escapism television to lose myself in and it was no wonder I started playing out, and then writing, adventure stories of my own. If I had to choose one novel that made me want to be a writer, it would be Mark Twain’s The Adventures of Tom Sawyer. 2. 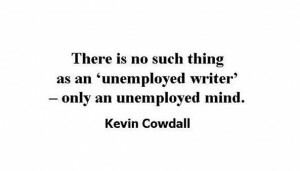 There seems to be a general belief that every novelist / poet / screenwriter / playwright, etc. has one story that they were meant to write and share with the world. Do you feel that, for you, Paper Gods and Iron Men is that story? I’m immensely proud of Paper Gods and Iron Men and it’s had excellent reviews, including one from Paul Pickering (Over the Rainbow, The Leopard’s Wife): “These are two wonderful stories of survival. Cowdall has an expertly controlled style and is a tremendous new voice. At times I was reminded of the early, and best, Norman Mailer”, which still gives me a thrill to read. If I’m honest, though, if I had to be remembered for only one story, it would be my novel, Cosgrove’s Sketches, which I’m currently submitting. It’s the story of an Edwardian Liverpool artist and whilst the central characters are, obviously, fictitious, I have included a number of ‘real life’ people in the story, including: Augustus John, Pablo Picasso, Ernest Hemingway, James Joyce, Ford Maddox Ford, Man Ray and Gertrude Stein, who impact on his life to varying degrees. 3. Do you see Paper Gods and Iron Men ever being adapted into a film? If so, would you write the screenplay if the studio invited you to? It’s funny you should ask that – I was chatting with Treva Etienne (a wonderful British actor who’s now based in LA) not long ago and he thought it would make a great movie! I can see Daniel Craig and Colin Firth as McBride and Poole if it kept the WWII / British theme, but it could also, possibly, be up-dated to a more modern Afgan or Iraqi setting, I think, without losing any integrity. I really wouldn’t know how to begin turning it into a script, but I do like the idea of a ‘Based on the novella by…’ screen credit! Who knows how these things get developed? 4. How much time do you set aside, each day, to write? At the moment I’m juggling writing with a ‘day job’ – I’ve set up my own consultancy, providing support to local community groups and charities, so writing has to be fitted in when I have ‘free’ time. 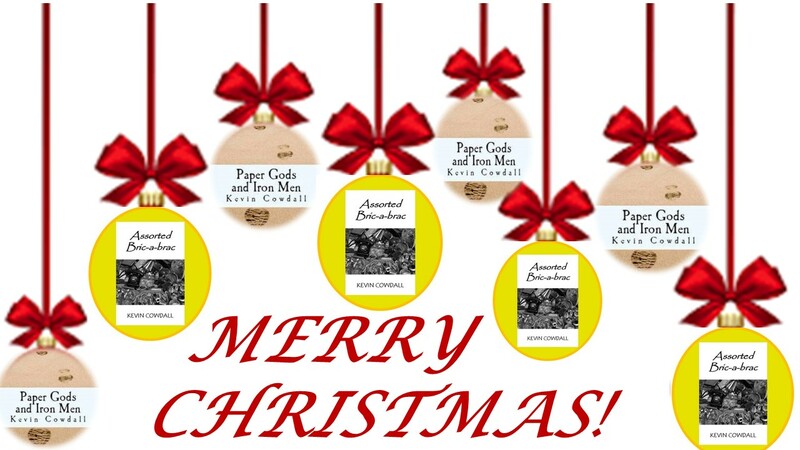 Most recently, I’ve been promoting Paper Gods and Iron Men as widely as I can and even set up a Facebook page – something I never thought I’d do! I’ve never really had a set writing routine – I’m not one of those writers who churns out 3,000 words before breakfast then spends the rest of the day enjoying themselves. I really do have to be in the mood, but once I start I tend to go on and on – it’s that self-discipline of sitting down in front of a blank screen and typing the first sentence that’s key. 5. If you were a guest on Desert Island Discs, which book would you pick (and why?) to go with the Bible and the complete works of Shakespeare? Easy one to answer – Don Quixote by Miguel de Cervantes Saavedra. Why? Because I bought a copy years ago and have never got round to starting it! Being on a desert island might just give me the time it would take! 6. Do you write in long hand or do you prefer a computer? When I first started writing everything was in long-hand, then I’d type it up with a carbon copy (yes, I’m that old!) Now I use a computer, simply because I find it more convenient to edit, move and paste and revise. It’s a shame really, but a sign of the times, I suppose. 7. How do you source creative inspiration? Everything I’ve ever written, poem, short-story, play, novel, starts with a single image in my head – not always the opening scene, although with Paper Gods and Iron Men it was actually a visualisation of the first few lines: “A single three-bladed fan turned slowly in the centre of the ceiling, barely disturbing the scorching air which filled the small prefabricated hut like an oven. Half-a-dozen flies droned lazily beneath; hopping casually from blade to blade as the mood took them. Occasionally there was a brief flurry of agitated buzzing from one or two, then they settled back into their languid routine.” With Cosgrove’s Sketches I had about half-a-dozen ‘scenes’ which I wrote down then dropped in to the story as it developed around them. 8. As this is a British-themed blog, I feel compelled to ask: what makes you proudest to be both British and from Liverpool? I think it would have to be the historic British sense of fair play and what is right; standing up for beliefs and justice against the odds. Also, the great cultural heritage; everything from Shakespeare, to Dickens, to the Beatles (I live about half-a-mile from Penny Lane). Liverpudlians are renowned for their sense of humour (a great weapon when times are bad), and there have been some other notable musicians from Liverpool, as well as comedians, actors, writers, artists, etc. 9. Are you a Liverpool FC supporter? Absolutely – You’ll never Walk Alone! I remember watching, as a six year old, the 1965 FA Cup Final between Liverpool and Leeds United (2-1) in black and white on TV, then going out in to the street and re-enacting the goals between two parked cars. The crowd roared! 10. Who are your top five British music artists? Eric Clapton / Cream, Van Morrison (Northern Irish), The Who, Texas (Scottish band) and The Christians (Liverpool band). That said, I’m a huge jazz / blues fan and most of the greats are American. I also enjoy classical music and opera. 11. Who are your top five British authors? I couldn’t possibly draw up a list of five without offending at least two dozen others! I will say, though, that Graham Greene was a huge early influence, as was H E Bates – genuinely gifted story tellers. 12. If you had to go one day without writing, how would you cope? Chocolate, pizza, red wine and a stack of classic movies on DVD! 13. What is your current writing project? Apart from promoting Paper Gods and Iron Men, I’ve sent my novel, Cosgrove’s Sketches, off to agents / publishers and my play, Sometimes, to producers / directors (fingers crossed!). I’ve got ideas for two stories, a romance with a twist and a sort of murder mystery / crime thriller that I’m trying to get in to some sort of shape – without much success at the moment given the time restraints mentioned earlier. Without a shadow of a doubt! Many thanks for giving me the opportunity.